Mykonos is another Greek Island part of the Cyclades Island group in the Aegean Sea, with breathtaking beaches and a lovely town. 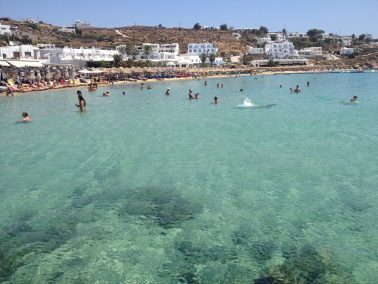 Mykonos is very charming and sophisticated and one of most famous hotspot for parties in Europe (the biggest in Greece). Because of that the island is full of young people partying all day long, sun seekers and couples enjoying Mykonos’s beautiful scenery and romanticism. The best way to explore the island is renting a scooter because the public transportation is not that good. I visited the island in August of 2014 coming by ferryboat from Santorini. The island is really picturesque and undoubtedly one of the greatest places to enjoy the European summer. One of the oldest parts of Mykonos boasting hotels, restaurants, old mansions with colorful balconies and one of the best spot to watch the sunset. The most charming and picturesque part of Mykonos. Its tiny cobblestone streets, white-washed houses full of bougainvillea will enchant you. The most famous landmark of the island, those windmills date back from the 16th century. It’s also another great spot to watch the sunset. A very nice beach with crystal clear turquoise water, rocky sand and beautiful people. Really good for swimming and relax. 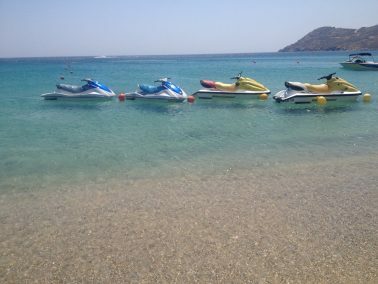 There are sunbeds and umbrellas to rent, various water sports, and the beach is also a few steps to Super Paradise Beach. 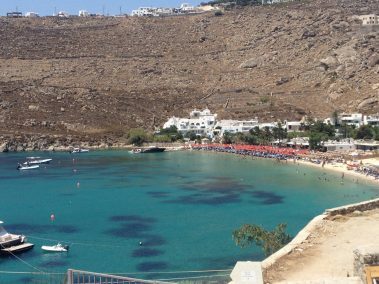 There are no regular buses running from Mykonos town and the easiest way is to take a boat from Platys Gialos. 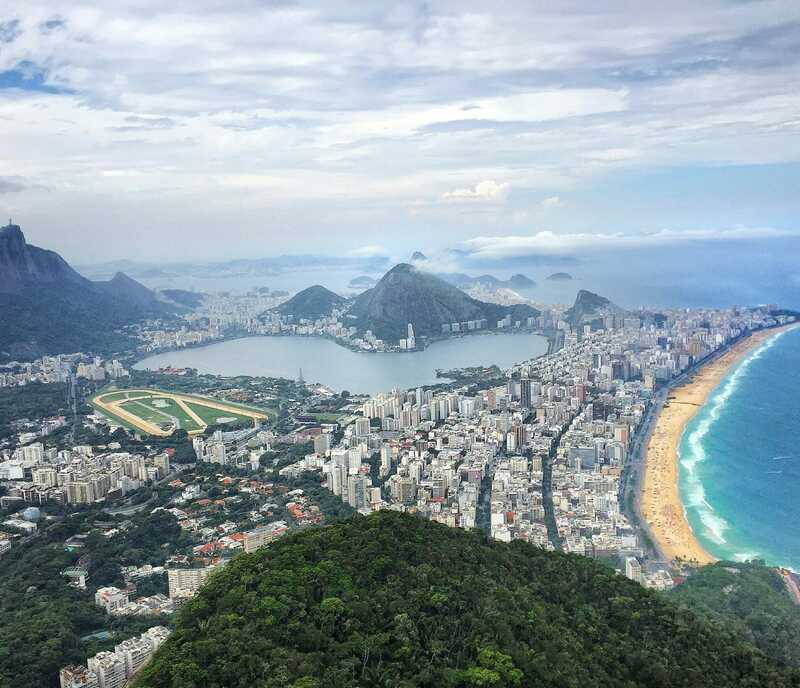 One of the most beautiful beaches, very popular for families and tourists, full of hotels, resorts, and restaurants. Bus service from Mykonos town is very frequent. Yet another beautiful beach with crystal clear turquoise waters, beautiful rock formations and golden sand. 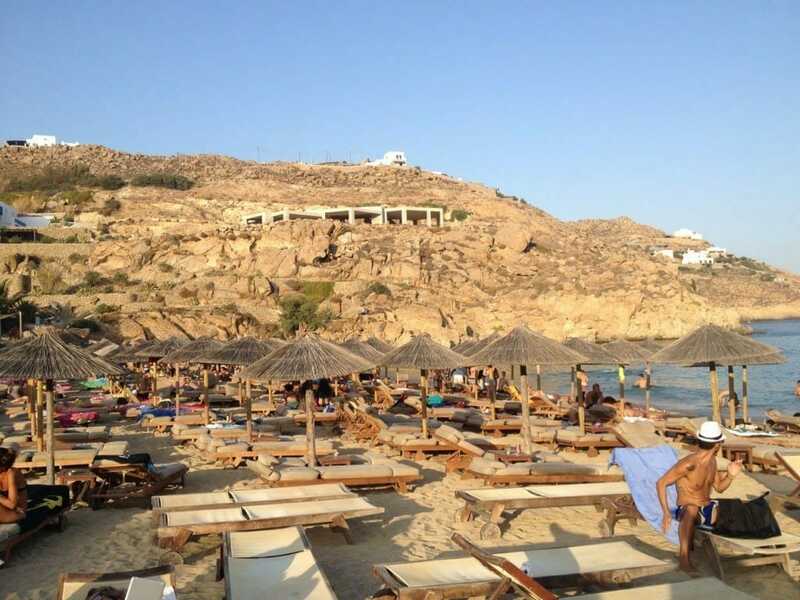 This beach holds two famous clubs: Super Paradise and Jackie O.
Mykonos is a party island and offers a crazy night life and some of the best beach parties in Europe. The parties are really good by the way and you are going to be tempted to come back to Mykonos many times. ∗ Clubs: most of the clubs are in Mykonos town and they are full of young and beautiful well dressed people. The most popular ones are: Scandinavian Bar & Disco, La Notte, Space Club, Astra Bar and Jackie O Bar. 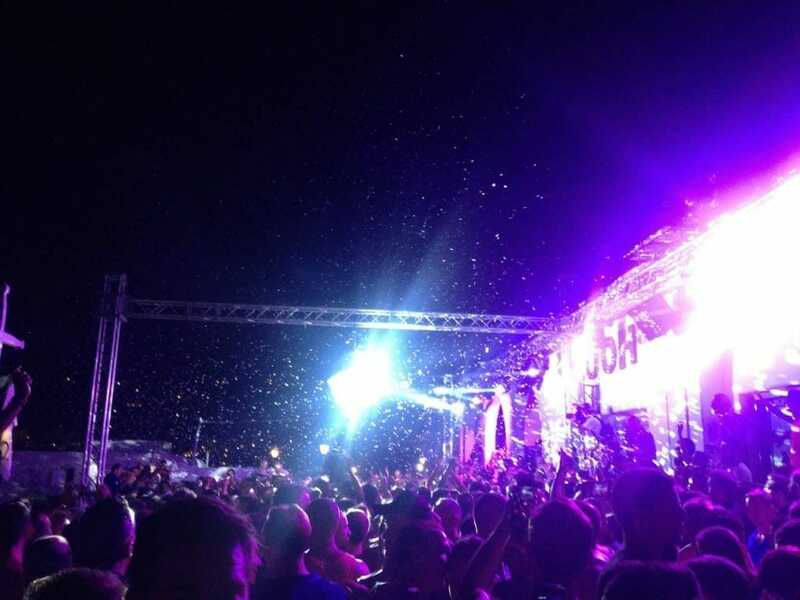 ∗ Cavo Paradiso: one of the most renowned summer clubs in Europe, Cavo Paradiso is located left on the hill at Paradise beach, and holds frequent parties with world famous DJ’s. ∗ Beach Parties: the most famous and busy are Paradise Club (easily reached by bus from Mykonos town or by boat from Platys Gialos), Super Paradise Club (you need to take a boat from Platys Gialos because there is no bus service from Mykonos town, however there are vans to take you back), and Jackie O Beach Club (the favorite among gays and is also located on Super Paradise Beach). Parties start at 4:00 PM, are free, full of beautiful people and can get really crazy. 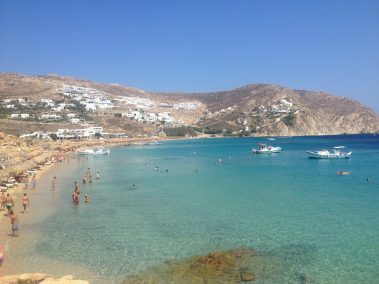 If you want to know more about gay places in Mykonos, check this Gay Mykonos Guide. Are you visiting Santorini as well? Here are my Top 7 Things to Do in Santorini. Heading to Greece’s capital? Find out which are the best areas to stay in Athens. 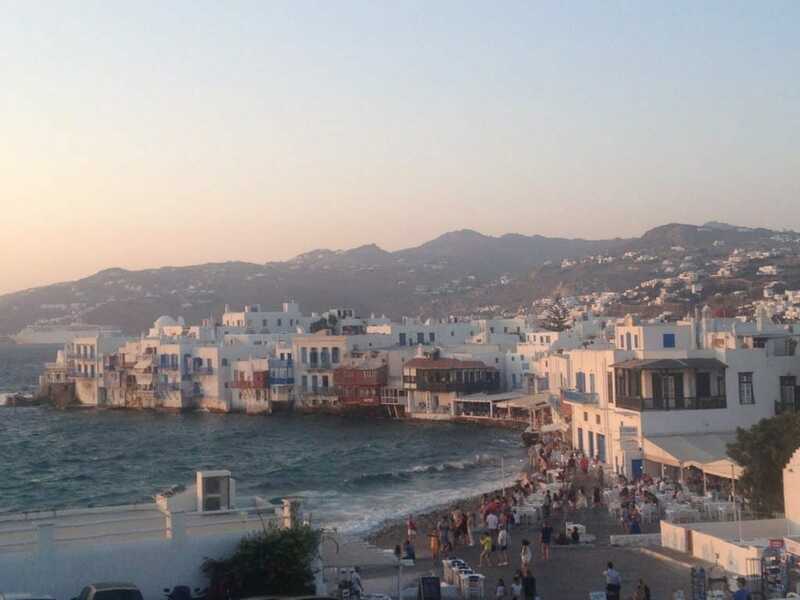 I recommend to stay in Mykonos town or Little Venice. The beaches there aren’t wonderful though but there are tons of restaurants and it’s very easy to get around, specially if you aren’t renting a car. Any place walkable distance to this area is fine. There isn’t any additional cost to you and it helps me to keep the blog. Cheers and have fun in Greece Mylene.